In 2011 HRDAG issued a report with the Colombian NGO Corporación Punto de Vista, examining how quantitative data can be used to assess conflict related sexual violence in Colombia. This paper, “Using Quantitative Data to Assess Conflict-Related Sexual Violence in Colombia: Challenges and Opportunities,” (Roth, Guberek, Hoover Green) notes that sexual violations are notoriously difficult forms of violence to measure. The authors point out that misinterpretation of the available data may create false impressions of reliability and lead to incorrect interpretations that promote unsound policy assessments, misallocation of resources and potential attacks by critics. “Comments to the article ‘Is Violence Against Union Members in Colombia Systematic and Targeted?’” (Price and Guzmán) engages an important academic debate, where the magnitude, patterns and causes of anti-union violence in Colombia are not yet conclusive. This dialogue has important implications for human rights in Colombia where thousands of union leaders and members have been killed, disappeared and threatened for decades. The public debate about union violence intensified from 2008 to 2010 as countries negotiating free trade agreements with Colombia, including the U.S., explicitly cited union violence as an obstacle to finalizing agreements. Given the importance of this debate, any study that makes claims about the patterns and magnitude of union violence in Colombia requires the highest level of precision and scientific rigor. In their response, Price and Guzmán present – in technical and methodological detail – the reasons they find the conclusions in Mejía and Uribe’s study to be overstated. Price and Guzmán believe that weaknesses in the data, in the choice of the statistical model, and the interpretation of the model used in Mejía and Uribe’s study, all raise serious questions about the authors’ strong causal conclusions. Information on HRDAG reports estimating the magnitude and the patterns of deaths and disappearances in Casanare, Colombia: English and español. Information on the HRDAG pilot study that uses cemetery data in Rionegro, Antioquia, Colombia: English and español. Information on the 2007 paper: English and español. This memo (November, 2013) explains how HRDAG helped the Center for Justice and International Law (CEJIL) to present evidence against the Colombian Army in support of the plaintiff, families of nine civilians who worked in the Palace cafeteria and were disappeared and possibly tortured during a two-day siege of the Palace of Justice in 1985. > Patrick Ball and Michael Reed Hurtado. 2016. Criminality registration and measurement. 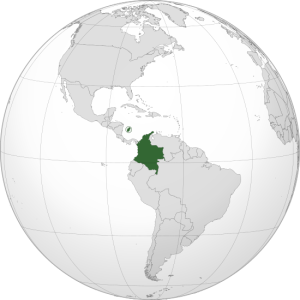 The problem of missing data, and the use of science to produce estimations relating to homicide in Colombia, as demonstrated with an example from one of its administrative and political divisions: the Department of Antioquia (2003-2011). Revista Criminalidad, 58 (1): 9-23. > Patrick Ball y Michael Reed Hurtado. 2015. Cuentas y mediciones de la criminalidad y de la violencia. Forensis 16, no. 1 (July): 529-545. © 2015 Instituto Nacional de Medicina Legal y Ciencias Forenses (República de Colombia). > Françoise Roth, Tamy Guberek, and Amelia Hoover Green. 2011. “Using Quantitative Data to Assess Conflict-Related Sexual Violence in Colombia: Challenges and Opportunities.” A report by the Benetech Human Rights Program and Corporación Punto de Vista. 22 March. (Spanish.) © 2011 Benetech. Creative Commons BY-NC-SA. > Tamy Guberek, Daniel Guzmán, Megan Price, Kristian Lum and Patrick Ball. 2010. “To Count the Uncounted: An Estimation of Lethal Violence in Casanare,” A Report by the Benetech Human Rights Program. 10 February. (Available in Spanish) © 2010 Benetech. Creative Commons BY-NC-SA. > Tamy Guberek, Daniel Guzmán, and Beatriz Vejarano. 2010. “Using Cemetery Information in the Search for the Disappeared: Lessons from a Pilot Study in Rionegro, Antioquia.” In Methodological Proposals for Documenting and Searching for Missing Persons in Colombia. (Available in Spanish) © 2010 EQUITAS. All rights reserved. View datasets for reports estimating the magnitude and the patterns of deaths and disappearances in Casanare, Colombia here.